"I am simply in awe of this book. An absolutely astonishing triumph." Colin R. Nicholl wrote this book to demonstrate that the Star of Bethlehem "could only have been a great comet". He explores the mysteries of astronomy with a biblical base and perspective. He taught at the University of Cambridge and was a professor of New Testament at Gordon-Conwell Theological Seminary before he decided to focus on biblical research. For gripping, intense, and thrilling, Steven James is the man to go to. Some time ago I read Pawn, book one of the Patrick Bower Files. And I remember being spellbound. This time around, I started book one of the Jevin Banks series, Placebo, to the same result. I haven't read a book this feverishly in some time. Jevin Banks suffers tragedy right out of the first chapter, with the death of his wife and twin sons, but the rest of the story doesn't really start until some time later. He's moved from magician to running his own reality TV series, debunking psychics and certain "research" that seems to always prove to be fraudulent. But with the next case, things don't turn out anywhere near how he intends. Least of all with the debunking. Fast-paced, never-ending action, and a pile of conspiracy theories to sift through, James keeps you guessing until the end of the pages, and while he doesn't necessarily end on a glaring cliffhanger, he leaves enough questions unanswered that I am ready to dive into book two. Singularity, which follows the same main character in new, twisting action. It has been too long since I read some of Ted Dekker's older novels - some of the ones he wrote in collaboration with other authors, the ones that told thrilling tales with crime, contradiction, conspiracy and danger, and got me reading his words so feverishly to begin with. I just finished Burn for the second time. I couldn't remember anything from the first time I read it, but it was gripping, intense, and well worth the second time through. Janeal Mikkado has never belonged in her own Gypsy tribe. Shunned. Disrespected. She's anticipating a life outside of this sheltered life she lives when everything goes up in smoke. She becomes entangled with a dangerous criminal, a twisted scheme involving a million dollars, and a number of gruesome and cruel deaths that send her on a path she never would have imagined. Another book of Dekker's that I recently re-read, Kiss, is also a gripping read. Ironically enough, I didn't remember what happened in this one either, and it's about a main character with a bad case of amnesia. I love amnesia plots. They allow for conspiracies, and for twists and turns that come as such surprises because absolutely no one knows that they're going to happen - the main character least of all. These collab-books by Dekker and Healy have to be some of my favourites from Dekker's bookshelf. I would highly recommend checking out Erin Healy after this, which is what I am certainly going to do. She just came out with her newest book, Hiding Places, and will be next in line to read it. Ted Dekker also just came out with A.D. 30 and A.D. 33, an amazing new series that is just raw and ravaging with emotion. I'm always quick to pick up what he puts out, and I was not disappointed this time either. He remains to be my favourite author in Christian Fiction, and I cannot wait to see what he comes up with next. If you're looking for a lovely gift for a lovely woman growing with God, this is a gorgeous item with a decorative cover and a really attractive design. It drew my eye on the shelf just because the cover and how the colours and fonts and everything fit together so attractively, and then I finally picked it up to have a look, and to my delight the contents were just as soothing as the exterior. "As you live in this world that is broken, your life does not go untouched by pain and sorrow. Perhaps you think that if you had real faith you wouldn't have to feel sad. But your tears do not reflect a lack of faith. Tears are a tool I use to bring healing in your life." Each daily writing is written from the perspective of God, speaking to you in an intimate and personal way, with related scripture to start off and a prayer written at the end of each day. Guthrie captivates personal reflection and intimacy with God in a very relatable way, and her writing style is so, so comforting. For more information on Abundant Life in Jesus: Devotions for Every Day of the Year by Nancy Guthrie visit our website here. Explore the literature and thought of C.S. Lewis, J.R.R. Tolkien, and other members of the Inklings circle in regards to evil and spiritual warfare, focusing on wartime. "Those looking for contemporary insights into the source and problem of evil need look no further than Bedeviled." -Bruce L. Edwards, author of Not a Tame Lion. For more information visit our website here. Discover the stories behind seventy-five of the greatest masterpieces of all time and gain deeper perspectives about the human condition, the Christian story, and your own spiritual life. Complete with a wide array of full-colour photos and illustrations, and sidebards with recommended reading, viewing, or listening options in each chapter. An exceptional gift book. What if you could ask C.S. Lewis his thoughts on some of the most difficult questions of life? Best-selling author, prominent academic, and sought-after speaker, Dr. McGrath sees C.S. Lewis as the perfect conversation companion for the persistent meaning-of-life questions we want answered. This engrossing true story explores for the first time how Tolkien and Lewis used the cataclysm of the Great War to illuminate the human condition; to insist that grace can overcome human frailty and even the darkest powers set against us. This deluxe paperback set includes all seven titles in The Chronicles of Narnia with full colour illustrations and cover art by Pauline Baynes from the original books first published in the UK. 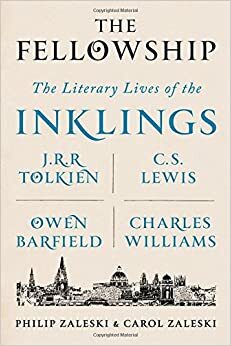 The first complete rendering of the Inklings' lives and words: an account of the ideas, affections, and vexations that drove the group's most significant members. A thoughtful gift for anyone with a particular enthusiasm for C.S. Lewis and J.R.R. Tolkien. For all of your C.S. Lewis needs, this is the place to be this season!